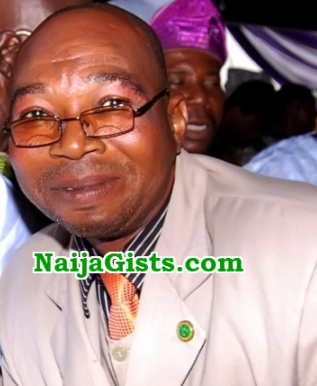 Comic Yoruba actor Adeshina Adesanya popularly called Pastor Ajidara is currently clinging to life at an undisclosed hospital due to kidney failure. His colleague, Mr Latin announced this to fans on the social media yesterday. 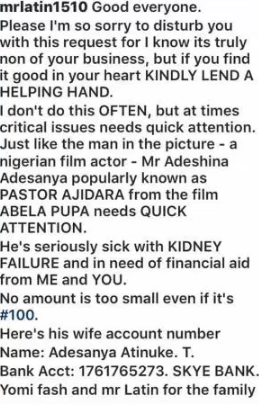 He urged Nigerians especially fans of the Nollywood actor to consider this request for donation urgent as the actor is in dire need of financial help to get over his ailment. God will send destiny helpers to him. all you celebrity showing off your wealth should come together and help him!